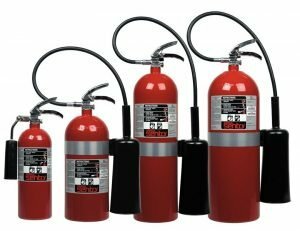 Designed specifically for commercial, compliance markets, this portable fire extinguisher provides cost-effective, high performing fire suppression to meet the requirements of NFPA 10 for Portable Fire Extinguishers. We are excited to announce the launch of the new Sentry High-Flow, Stored-Pressure Fire Extinguishers. Available in 10 lb. and 20 lb. 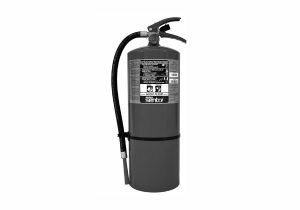 models with standard or corrosion-resistant coatings, the Sentry High-Flow, Stored-Pressure Fire Extinguisher is designed to meet the requirements of NFPA 10 (Standard for Portable Fire Extinguishers) Section 5.5.1.1 for pressurized flammable liquids and pressurized gas fires. The higher discharge rate enables a higher volume of dry chemical agent to be applied to the fires more quickly, providing increased firefighting capability as compared to a standard fire extinguisher. The Sentry High-Flow, Stored-Pressure Fire Extinguisher fulfills a market need for users who don’t require an industrial cartridge-operated extinguisher, but must comply with a hand portable extinguisher that meets industry standards. 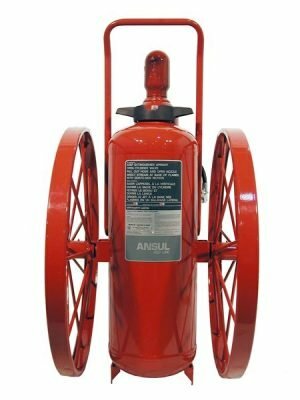 The shells of Sentry extinguishers are produced by a cold deep draw process which yields a seamless steel cylinder with a high tensile strength. The collar and specially pre-formed bottom enclosure are MIG welded to produce a smooth, high integrity weld. Extinguisher shells are 100% factory air tested at 720 psi 49.5 bar). The powder paint process is superior to conventional liquid based paint systems in its ability to resist blistering, cracking, fading, chipping, and corrosion. Rugged all-steel pick-up tubes help provide proper and dependable agent flow through the valve body. Large 1 1/4 in. (32 mm) dia. coated steel ring pins are utilized and held in place by a visual inspection seal to help prevent accidental discharges. One piece, multilingual, color-coded Mylar label with easy-to-read pictograms provides the user with step-by-step operating instructions and the hazard classes for which the extinguisher was designed. Label also contains useful recharge, maintenance, inspection, operating temperature, HMIS and model information. Valve subassemblies are 100% tested for functionality before final assembly. 100% leak tested utilizing mass spectrometry technology at pressures of 240 psi (16.5 bar). Sentry extinguishers are shipped from the factory in individual recyclable corrugated cardboard cartons. Designed and field tested to help ensure your extinguishers arrive undamaged and ready for operation. The glued one-piece cartons have a pressure gauge inspection port. 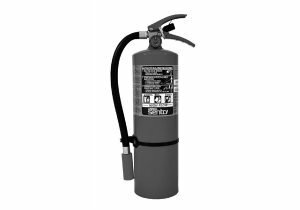 Cartons of Sentry extinguishers are properly labeled according to the latest DOT/TC regulations for ease of shipping in the field. ANSUL® dry chemical extinguishing agents are manufactured from high quality raw materials and are carefully blended to meet stringent performance specifications. These agents are then tested to be free-flowing, water repellent and electrically nonconductive. Except Canada – UL Listed. English/Spanish nameplates. The converted metric values in this document are provided for dimensional reference only and do not reflect an actual measurement. 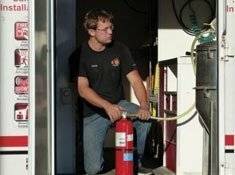 Fire Suppression Capability – Underwriters Laboratories classifies a “novice operator” as one who has little or no experience in operating a fire extinguisher. Corrosion-resistant models feature chrome plated, brass and stainless steel components to withstand harsh environments. 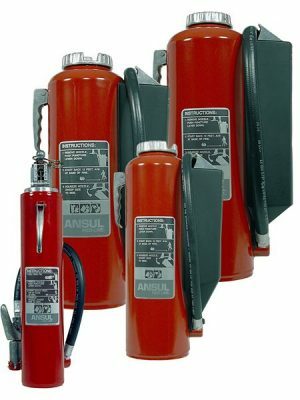 The Sentry High-Flow Extinguishers comply with NFPA 10, Sec. 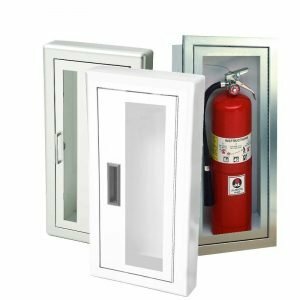 5.5, which defines fire protection for pressurized flammable liquids and gasses as three dimensional and/or gravity fed fuel fires. 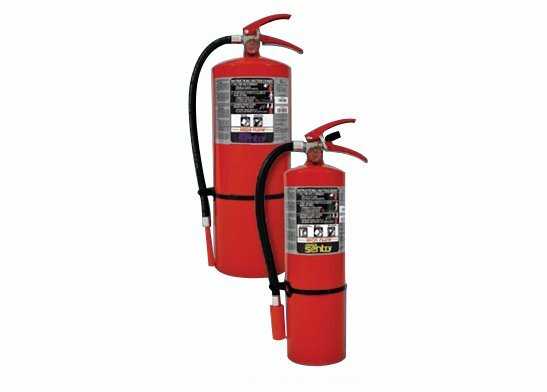 The extinguishers are large capacity dry chemical fire extinguishers of 10 lb. (4.5 kg) agent capacity or greater, with a discharge rate of 1 lb/sec (0.45 kg/sec) or greater. Agent: FORAY Extinguisher Agent – A monoammonium phosphate-based agent for use on Class A (wood, paper, cloth) and Class B (flammable liquids and gases) fires. The agent is a non-conductor of electricity for use on fires with Class C electrical conditions. Agent: Purple-K Extinguisher Agent – This potassium bicarbonate-based agent is the most effective ANSUL® agent for knock-down of Class B (flammable liquids and gases) fires. The agent is a non-conductor of electricity for use on fires with Class C electrical conditions.